WBBSE Madhyamik Results 2019 @ wbresults.nic.in – West Bengal class 10 Result. Madhyamik pariksha examination in the month of March 2019 was organized by the west Bengal board of secondary education and results will be announced in the month of May 2019. Students who are eagerly waiting to know the result can log in to the official link (http://wbbse.org) provided by the authority of secondary education. In a month of March 2019, there were a number of students who have appeared for the west Bengal board of secondary education. This provides the vision of the development of the Madhyamik education. Madhyamik Pariksha (S.E.) Exam Result 2019 Will Be Declared on May. 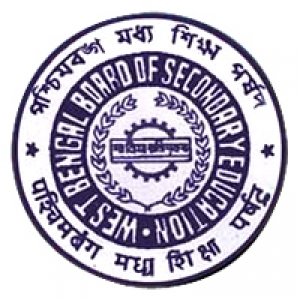 West Bengal secondary Education is also known as the WBBSE. It is the west Bengal administered statutory examining authority for 10th board exam results and it is the state government affiliation to schools. Usually there are many private and government schools which come under the WB board of secondary education. The main goal is to enhance the world-class education in west Bengal. In the year of 2019 around 10 lakhs above student got appeared for the board of madhyamik exam and 2018 batch also produced the very good result. According to the official declaration WB Board Madhyamik Result 2019, there were around 10 lakhs students are going to attend an exam. And also in obedient with the annual academic schedule of the board of education, it will be the great opportunity for the students. Who are waiting thirstily to know their result, which will surely bring the twinkle effects on the students faces. We are glad to inform that the result will be expected as soon as possible. The madhyamik examination is organized once in the year that to at the march. It is also called as the madhyamik pariksha or secondary examination. The main aim of this board is to improve the quality of education and to provide the better improvement in the result.According to the above-mentioned table girls percentage is higher than the boys and also a number of students who are appearing for the board exam are becoming high and as well there is the increasing rate of the pass percentage chat in the year by year. So we can expect the high overall pass percentage rate in the year of 2019. Feedback has taken into account from the students due to some technical issues student felt hard to see their results in last year. But these times we glad to announce that the result will be updated and then the technical issues cleared for the student benefit. Here our website will provide the very straight and forward method to access the online results. Checking students can also refer the easy and simple three steps which are mentioned below to check their result on time without any hassles. How to Check WBBSE Madhyamik Results 2019? Step 1: visit the page in which the result updated. Step 2: fill out the data needed to login like roll number, register number, e-mail. Step 3: now the last and main step is to click on the submit button which appeared on the web page. Step 4 : Before going to check the WBCHSE Class 10 Result the students should be aware of tracking the necessary data like register number, date of birth, email address and phone number. In order for the student usage, the west Bengal board has made a facility of sending the result directly to their mobile phone via message. After all the above steps completed students should aware of taking the printout of the marks sheet because to proceed for the higher education it will be help full until you get the original marks sheets.